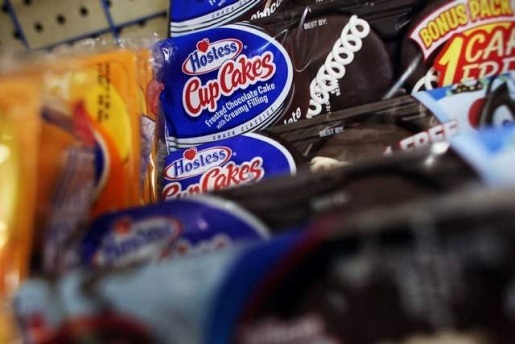 “A lot of impostor products have come to the market while Hostess has been off the shelves,” says Daren Metropoulos of the investment firm Metropoulos & Company, who teamed up with Apollo Global Management to buy the rights to Hostess’s various snacks. The interesting thing about the new ownership is their willingness to experiment. For example, the delicious Hostess CupCake has been a cream-filled chocolate staple of my entire life, and it’s getting a subtle change. From milk chocolate, the company will be switching to cocoa powder, resulting in a darker, more tasty-looking product that should hopefully taste as rich and delicious as ever. Another impressive feat is expanding Hostess’s reach. Rather than delivering directly to stores, the newly pared-down four-bakery operation will deliver to a distribution service, thereby allowing Hostess treats to be shipped across the nation to locations (like convenience stores) who until recently never had Twinkies at their disposal. Improved chocolate and more locations? Sign me up!